In order to keep your membership organization vibrant and thriving, it is critical to have a system for continually attracting new members to your organization and keeping members engaged and informed of the benefits of their membership. 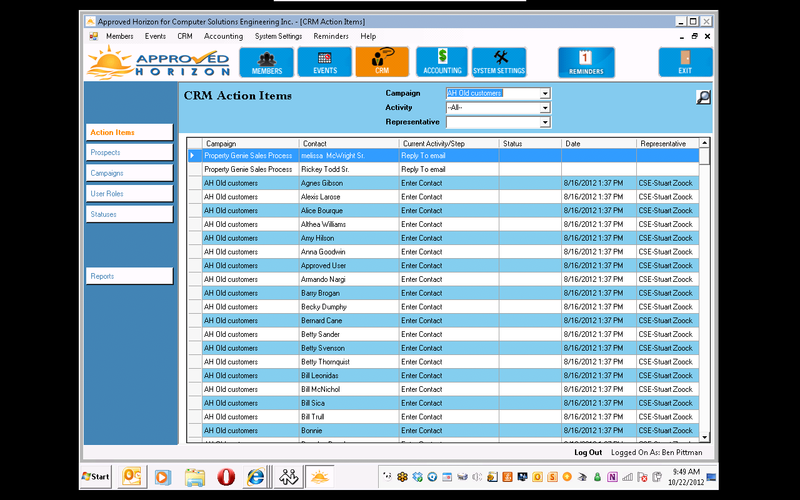 That is what a Customer Relationship Management (CRM) system is all about. With Approved Horizon, you can create an entire marketing campaign, then systematically apply that campaign to your members and or prospects. Have a membership drive this year? Now you can lay out the entire campaign plan, select the people you want to contact with it, and assign groups and tasks to your staff and volunteers. Track your success through built in reporting. Generate statistics showing individual and group progress towards your goals. Import contact lists from other sources, or create your own list with Horizon's built in list generation tool. Have contact requests from your website feed directly into the appropriate campaign. 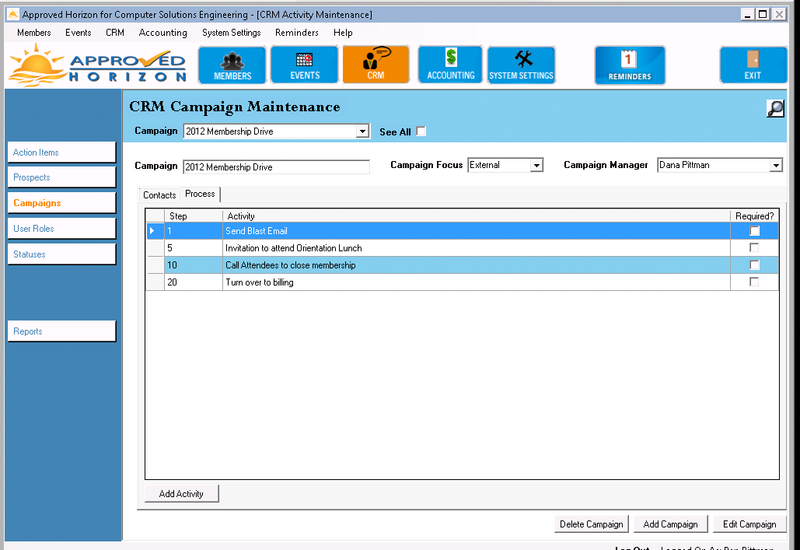 Use the campaign manager to keep in touch with members and recruit new ones. With Approved Horizon, now you can convert prospects to members with the click of a button!